Kim Ward, who studied Sanskrit using the Sanskrit @ St James materials, talks about her experience of taking the IGCSE © Sanskrit exam. “‘Exam’ – a word usually associated with stress and invoking the reaction of “Thanks, but I would rather not!” But I have found it doesn’t have to be like this. 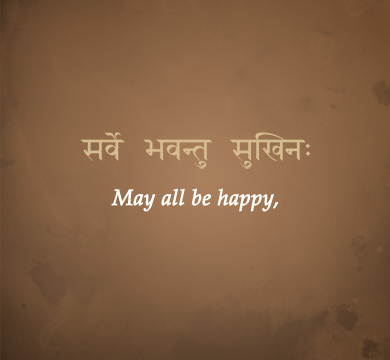 Taking an exam as an adult, on Sanskrit, a subject I love, turned out to be an interesting experience. I admit, at times, to thinking it really wasn’t a good idea. But as there seemed to be more that was positive than negative, I signed up. When I first started studying Sanskrit, having come across Sanskrit terms while studying philosophy, and having been taught the alphabet, it was difficult to take it further. I remember trying to read verses in the Gītā about fifteen years ago, my finger moving slowly across the strange words, trying to work out the letters. I had no idea what they meant, and I was only trying to familiarise myself with the alphabet, on long commuter train journeys to work. Since then, a whole range of study materials has become available on the Sanskrit @ St James website. The three-year course provides an excellent way to work through the basics of Sanskrit, particularly aided by some philosophical understanding. I eventually committed to taking an exam, partly out of a sense of service and gratitude to those who have put so much into this examination process. We formed a small online group (a few people in England, one in Australia and myself in South Africa) and signed up for the 2016 IGSCE © Higher Level Examination. It costs about 100 South African pounds which, with the exchange rate, is not an insignificant amount, and one needs to find a local Centre that offers the Cambridge exam. Fortunately for me there was a local school some 20 minutes’ drive away. My colleague in Sydney had to fly to her nearest centre in Auckland, New Zealand. Another country – now that is commitment! So the first thing an examination offers is the opportunity for commitment. In a world with so much on offer, this is often exactly what we need to make the decision to put time into something which we feel is important but which somehow always gets put on the back burner. 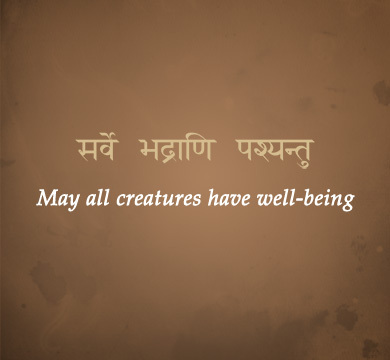 Sanskrit is often at the bottom of my list of priorities. I had taken the first of the Cambridge IGCSE exams about six years ago, working through various materials on my own, and inspired by the company and teaching of others. After this exam, I simply could not motivate myself to pick up the study on my own. It seemed to have simply got too difficult to understand or continue alone. Fortunately, a few years ago even South Africa’s bandwidth and Internet seemed to be able to cope with the demands of electronic meeting and studying through programmes like Teamviewer and Omnijoin. I found a willing tutor who offered to both participate in and lead a study group. He probably didn’t really know what he was letting himself in for – it took us several weeks alone to get organised with the software and to find a time that suited everyone across the time zones! After that, things went quite smoothly – we meet once a week for an hour in the comfort of our own homes. No time required for travel, or another evening away from home – online study groups are fantastic! They simply know no boundaries and in an instant we are connected across the oceans. Weprogressed slowly through various work books, drawing too on excellent videos available on the website (I highly recommend these both as an introduction to new sections, and as a revision tool). At times, life with a young family, work and other demands meant I simply could not keep up with the homework but I did my best to at least be present for each weekly meeting, which gave a sense of what was being covered. As the examination drew closer, I knew I should have opted for another year! But it was too late as one has to sign up many months in advance… I was in, like it or not. It is only by committing to the examination that one can ever get a sense of what needs to be covered, then you are committed and it is too late to delay it to another year. So now to make the best of it! And here is where I learned a whole range of unexpected things. I had to accept that I would not be able to cover everything in as much detail as I would have liked, that I would not be competent in all areas covered in the examination. I kept reminding myself that I was studying Sanskrit because I loved it and enjoyed it, and if I was not enjoying it then I needed to take off whatever pressure was causing that, and just keep moving forward. It was ultimately not about the achievement of the end goal, or a good mark; it was about moving forward, keeping going and doing the best one could. I needed to accept that it is about the process, taking each little step, rather than the product, an exam mark at the end. A few weeks before the examination, I tried to clear as much time as was possible, to dedicate some serious hours to study. I would not have done this if there had not been the exam. It always feels like something else is more important. But now I said, for this next little while, THIS is the most important. People are generally quite sympathetic when you mention the word ‘exam’; the universe can get behind you once you are resolved – my husband made meals, grandparents and friends offered to take care of my sons for afternoons and days opened up for study. And now the exam is over… there was certainly rather more blank space on my exam paper than I would have liked and I probably have not passed. But was it worth it? Most DEFINITELY yes! 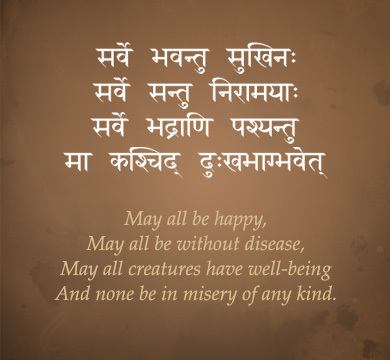 I have a sense of mysterious areas like Pāṇini’s grammar system – trying to understand Pāṇini gives one infinite respect for the whole Sanskrit grammar system. The exam preparation allowed a peek into this world and gave me an inkling of how all the Sanskrit words emerge from just a few roots and yet flower into their variations according to a set of laws. So while I was not able to commit sutras to memory and work efficiently with them, the exploration alone was fascinating. 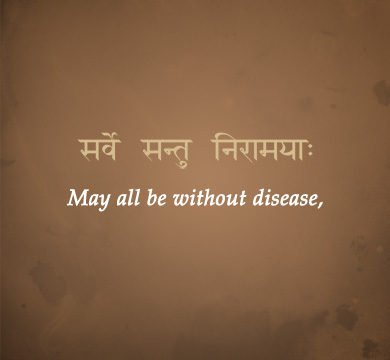 Sanskrit without Pāṇini, however tempting as it appears so difficult, would lose a lot of richness. So I was glad the exam offered a taste of this. Another big section of the syllabus involves working through about 25 verses from the Gītā. Finally, the work with vocabulary, grammar, how words join together (now not so mysteriously with the Pāṇini background) all comes together as one is able to actually read and come to understand some of these verses. By the time of the exam, I had not committed these to memory, which would have been ideal, but I had got a sense of the characters, the story, the rhythm – I had actually made the time to work through them and in this, there was joy! Taking a Sanskrit examination offers many of these opportunities to experience knowledge, from the initial commitment, to the dwelling on the subject as you consciously consolidate stuff you may have worked with for years, to the telling as you articulate as best you can what you have worked with.